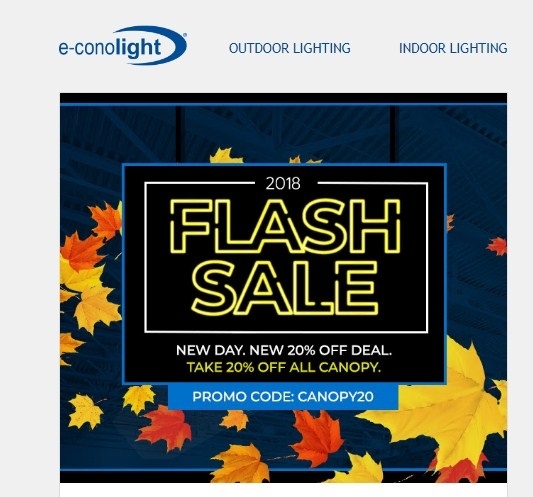 sarah flip 20% off eligible canopy fixtures only with promotion code CANOPY20. All products included in sale are priced as marked. Promotion code expires 11/22/18 at 11:59 pm CT. Promotion code cannot be combined with any other offer, and does not apply to doorbusters, clearance products, linear fluorescents, poles and bullhorns, C-Lite LED lamps and downlights, and Leviton controls.